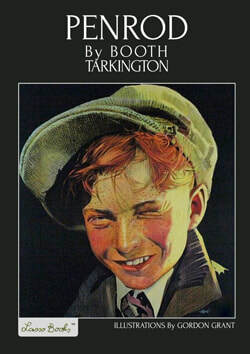 Penrod, Booth Tarkington's classic and hilarious tale of one 11-year-old's unceasing series of misadventures in an early 20th century Midwestern town, has fallen into disrepute in some quarters for ethnic descriptions and dialogue that many today find offensive. Our Lasso Books imprint has taken the bold step of abridging the original text and removing questionable passages and rewriting select portions so that children and adults may now read this delightful novel without the insensitivities of the past that many found objectionable. With great care, this new, revised edition of Penrod has been edited seamlessly so that Tarkington's purposely florid prose—which adds to the hilarity of Penrod's comic mishaps—is kept lovingly intact. Penrod is particularly well-suited to young people of middle school and high school age who not only can relate to Penrod's mischief, but can appreciate the expansive vocabulary Tarkington employs to comedic effect. Lasso Books also recommends this book to adults who enjoy Mark Twain's Huckleberry Finn and Tom Sawyer and the wry humor found in Twain's writings. Lasso Books' revised edition of Penrod also contains over 40 classic illustrations by master illustrator Gordon Grant.